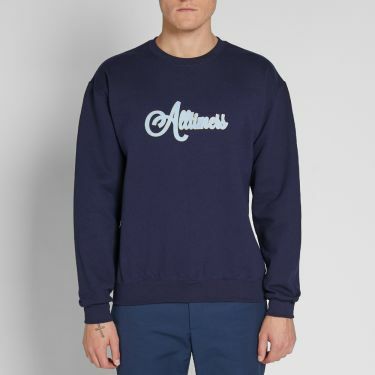 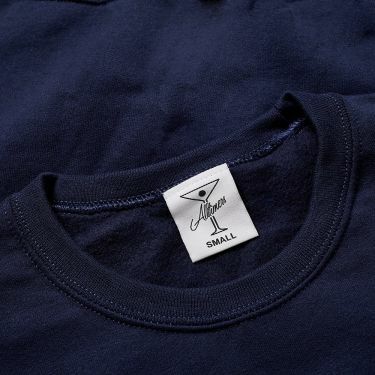 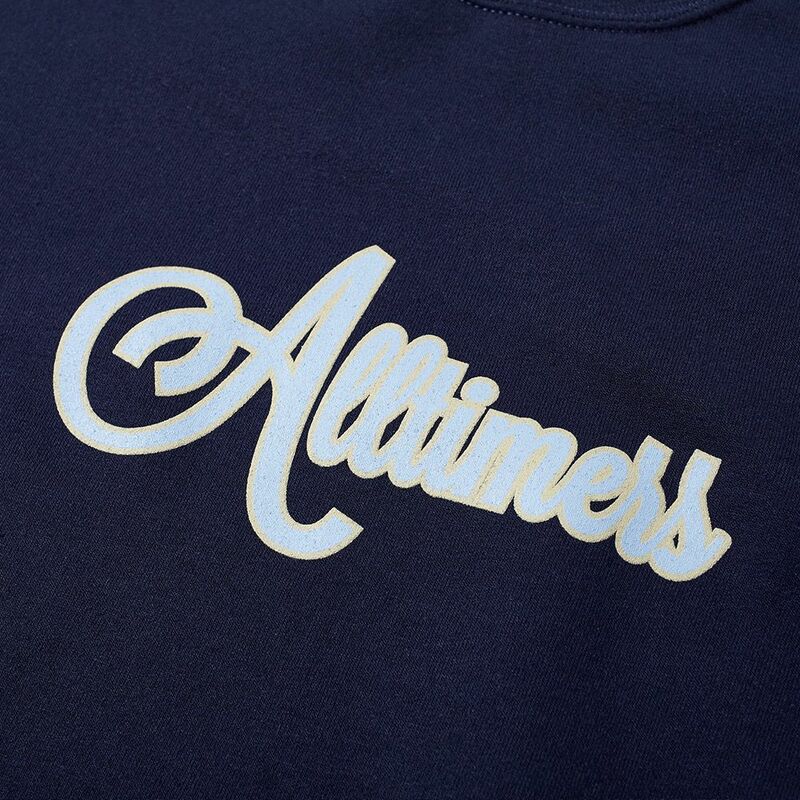 A casual staple enhanced with Alltimers’ playful graphics, this sweat hits the street with style. 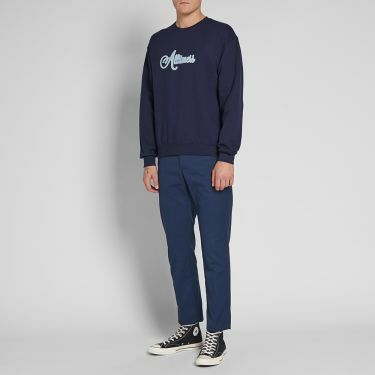 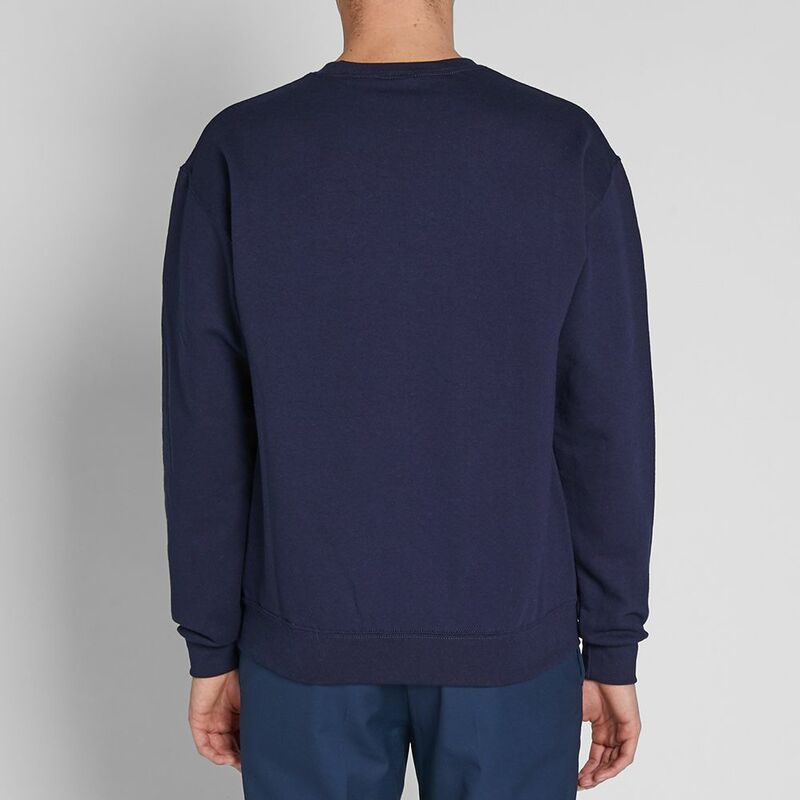 Boasting retro vibes with its cursive branding printed across the front in a pale blue hue, the fleece-lined sweat brings contrast with a rich navy base. 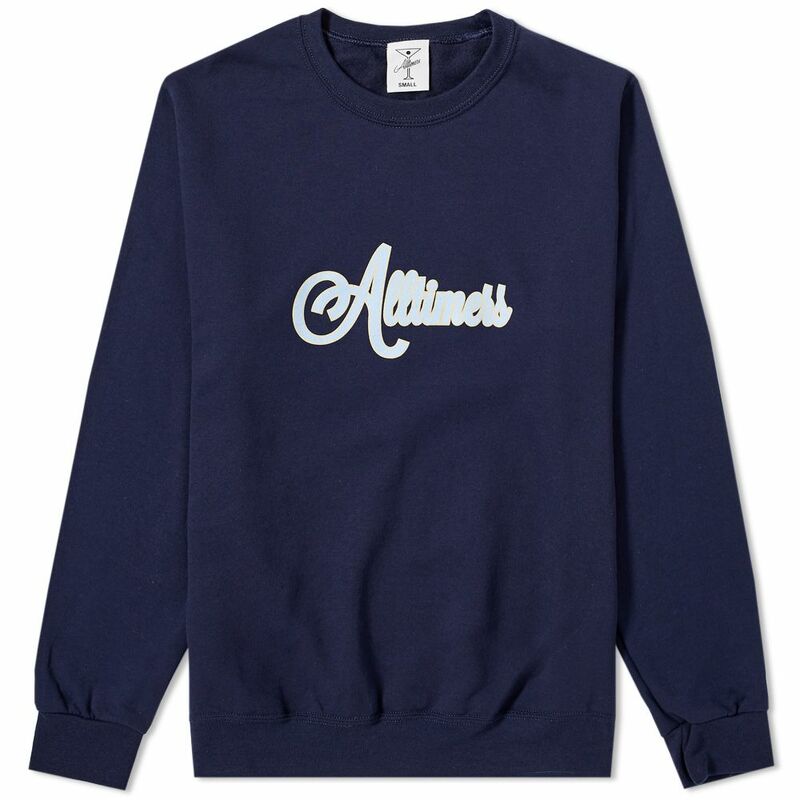 Soft, comfortable and sure to keep you warm, wear yours with your best sneakers and a dose of Alltimers attitude.